Members of this far-right party have launched the campaign in four regions. 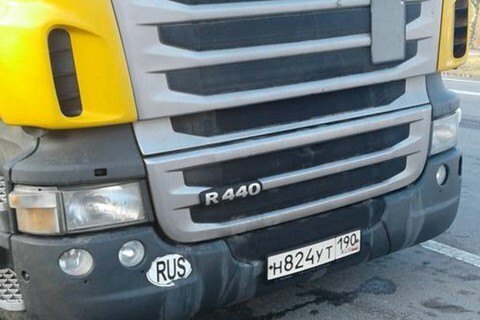 Members of the Freedom party have resumed the blockade of Russian freight vehicles moving across Ukraine. The party said on its website that its activists had stopped a Russian lorry near the Domanove checkpoint. An adviser for the Volyn regional state administration, Andriy Kharlampiyevych, the police command of Rante District and a Security Service of Ukraine representative arrived at the scene. The party's activists also arrived at the Porubne customs point in Chernivtsi Region. Two vans with National Guard troops were dispatched to the site. In Lviv Region, the activists are on watch near the town of Stryy. They are also present at the Veretskyy pass on the border between Lviv and Transcarpathian regions. The National Police published a map on its website showing the transit routes for Russian lorries. It is not clear whether that means they will be ensured safe passage along these routes.